This Power Brake Conversion Kit for Early Broncos requires no fender modification. NOW FEATURING OUR NEW BILLET MASTER CYLINDER! TBP's exclusive Power Brakes Conversion Kit uses a custom power brake bracket that clears the fender well without modification. This power brake vacuum booster is a New 8" Dual Diaphragm Power Brake Booster. We feel this is hands down the best power brakes booster conversion on the market. Conversion kit includes a new push rod, bracket, booster, master cylinder and brake lines. 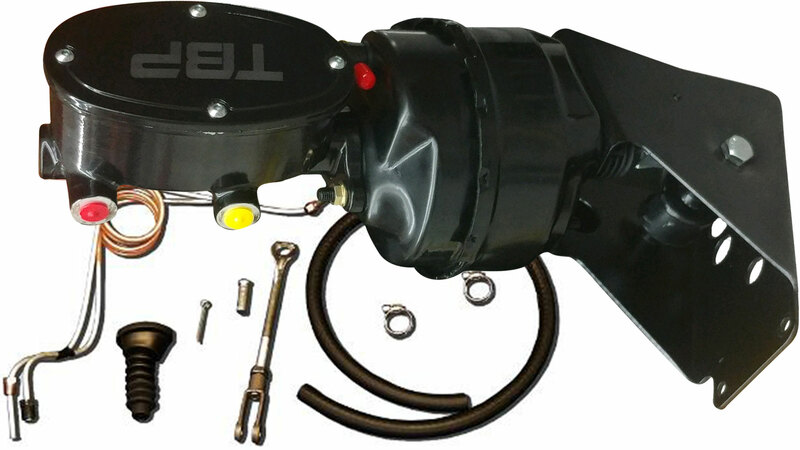 NOTE: Unlike other No-Modify Power Brake Kits on the market, this brake booster conversion includes a FULL-SIZED Power Brake Booster, utilizing our Exclusive No-Modify Power Brake Bracket to clear the fender well without modification. Other conversion kits use a smaller power brake booster to provide clearance. The vacuum booster in these other power brakes kits does not provide enough vacuum for the Bronco (especially if you are running larger tires), providing dead spots in your braking. There is also now a copy of our No-Modify Power Brake Bracket on the market, but the copy version does not offer the correct angle for the Power Brake Booster and Master Cylinder and therefore causes the master cylinder to hit the stock hood. 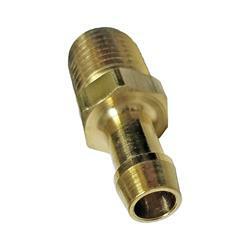 It also has a weak point in the linkage assembly that creates a safety concern during emergency braking. This vacuum booster requires 18 to 21 inches of vacuum. A healthy 302 Ford V8 will provide 19-21" of vacuum which is ideal for this kit. A normal running 170 Ford 6-cylinder will provide 18" of vacuum which is adequate but on the low end. Broncos with modified cams can run lower on vacuum. In this case, or any time vacuum is not within range, you may need to install a vacuum pump or collector for proper performance. If you are unsure of how much vacuum your engine is providing, it's recommended to perform a vacuum test on it prior to installation.